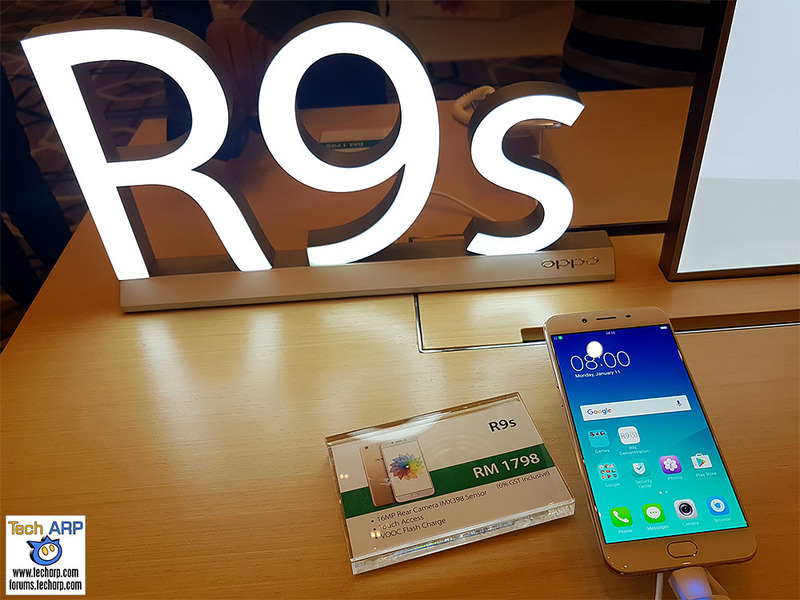 OPPO just launched the OPPO R9s at an amazing price of RM 1,798 / ~US$ 399. The OPPO R9s (Lazada, Amazon) emphasises the main camera, which now boasts a 16 MP Sony IMX398 sensor with a f/1.7 lens. This makes the OPPO R9s (Lazada, Amazon) one of the most affordable smartphones with a top-of-the-line main camera. In this article, we will share with you the full specifications, and our hands-on preview, of the OPPO R9s (Lazada, Amazon) smartphone. Check it out! We had a few minutes to try out the OPPO R9s (Lazada, Amazon) after its star-studded launch event. Check out our hands-on preview of the OPPO R9s! Here are the OPPO R9s specifications. We will update them with more details, as soon as we get them from OPPO. The local pricing for the OPPO R9s (Lazada, Amazon) is an astounding RM 1,798 (~US$ 399) here in Malaysia. This is about RM 300 / ~US$ 69 cheaper than other countries! The OPPO R9s (Lazada, Amazon) can be pre-ordered from now until 13 January 2017 from OPPO Malaysia’s website, Lazada Malaysia, 11Street and the 1,200 OPPO sales points across Malaysia. It will also be available through Maxis and Celcom. Delivery and first retail sales of the OPPO R9s (Lazada, Amazon) will begin on 14 January 2017. It will be available first in Low Yat Plaza, Kuala Lumpur and VivaCity Megamall, Sarawak. Next : The First AMD Naples + Radeon Instinct Reference Design Revealed!